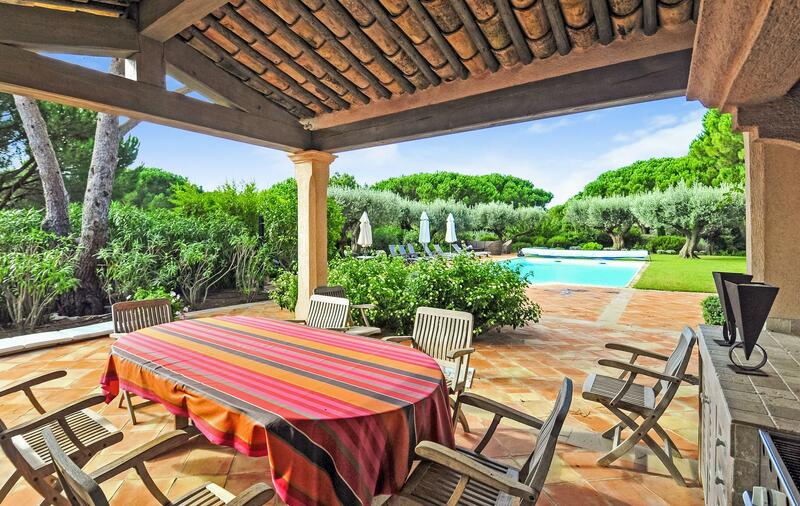 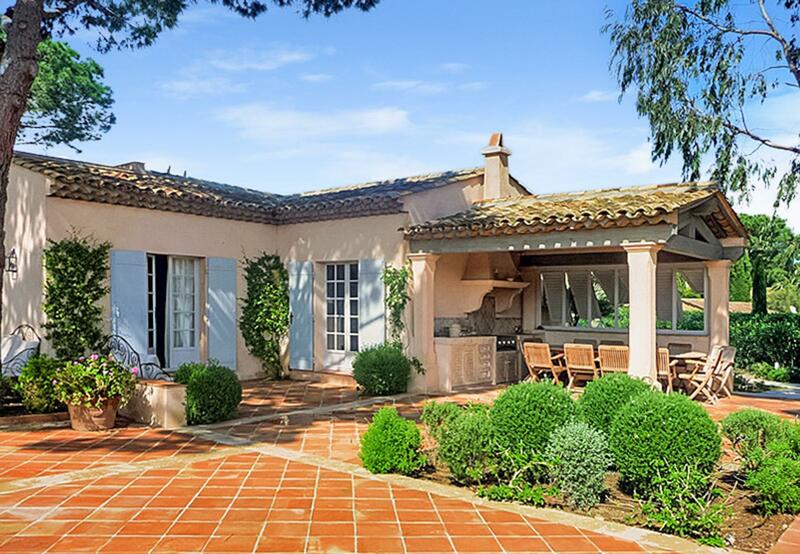 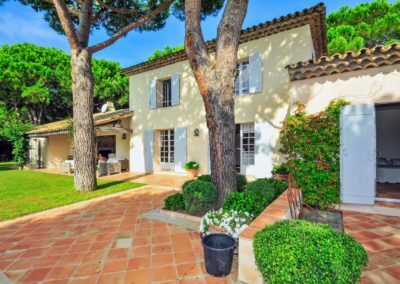 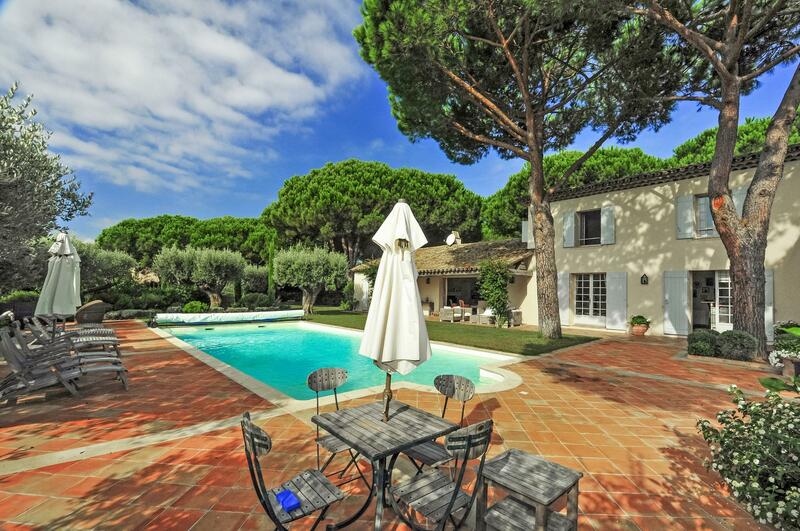 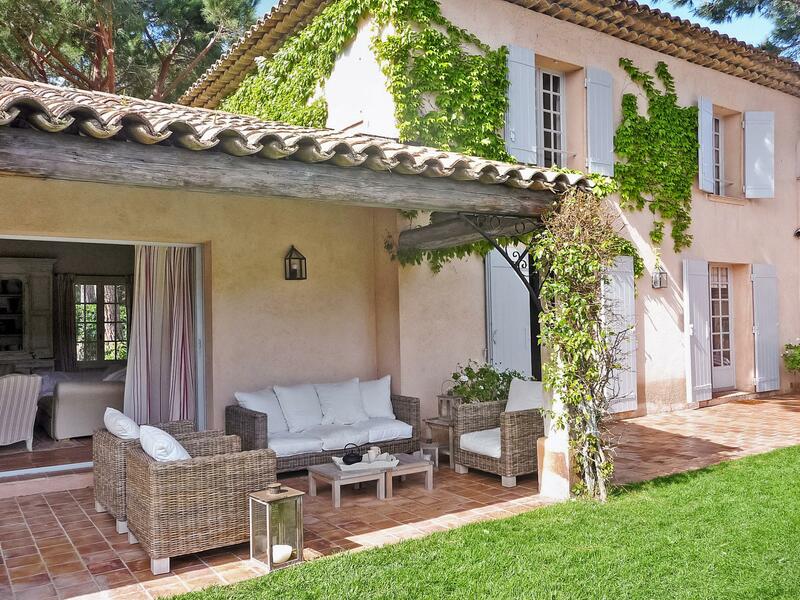 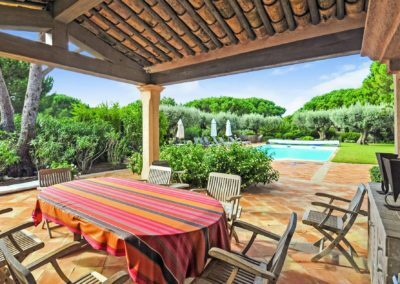 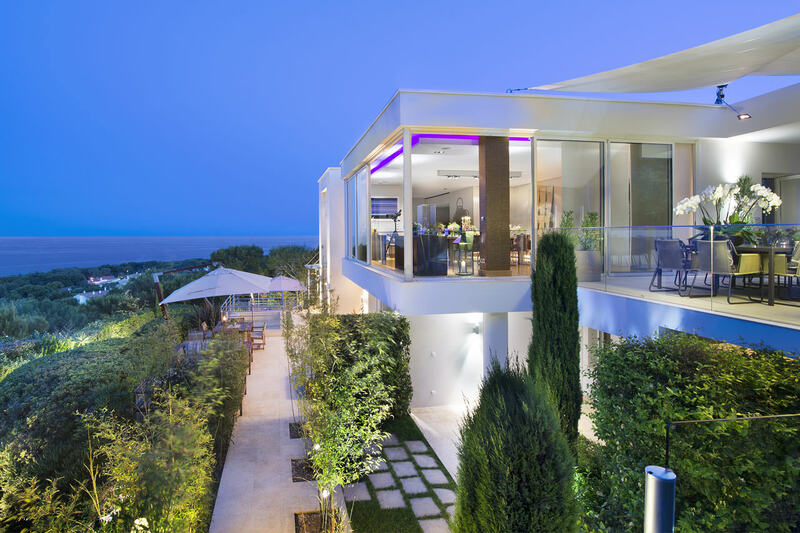 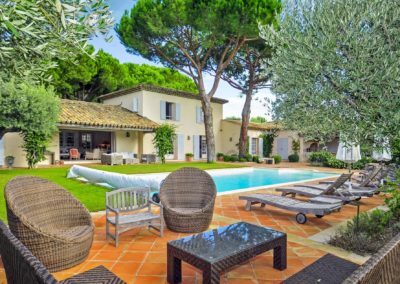 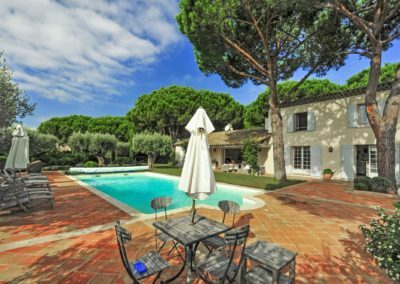 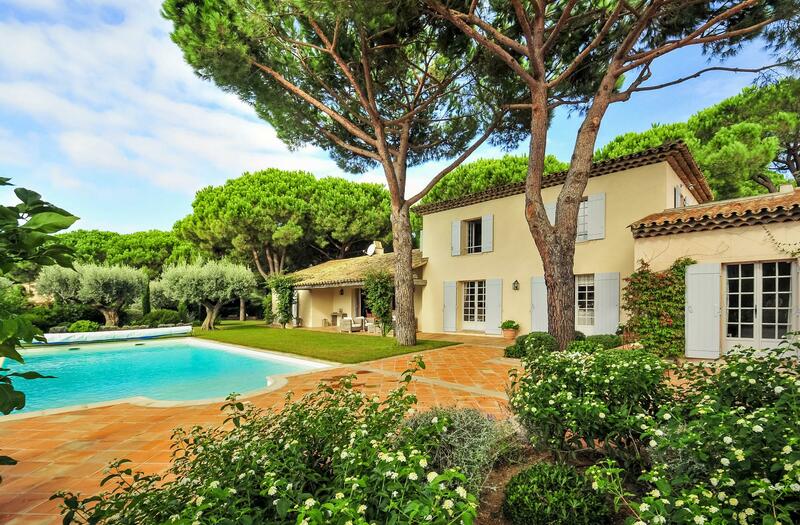 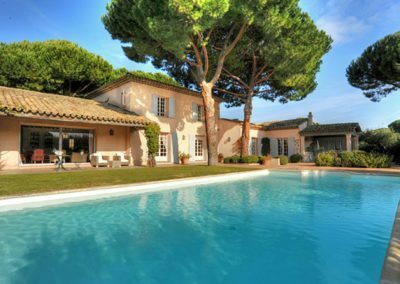 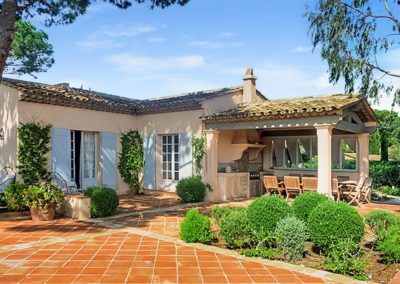 Luxury St Tropez Villa by Tahiti beach – Set in a quiet residential area within walking distance of Tahiti Beach on Pampelonne Bay and just a five-minute drive from St Tropez, Villa Tahiti Plage is a stunning, elegant property with a perfectly manicured garden and heated pool. 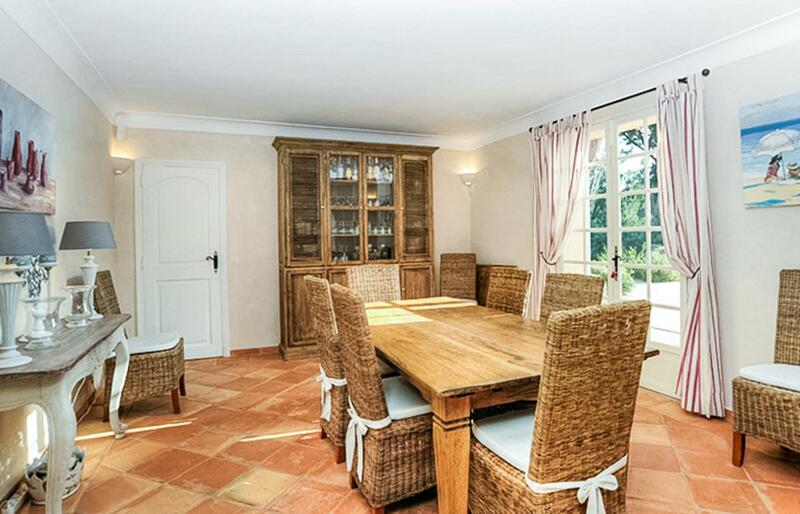 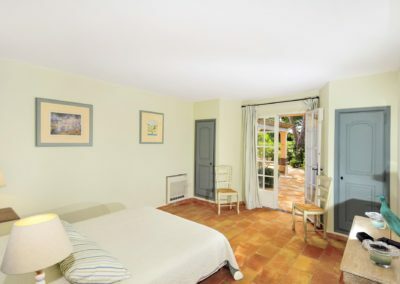 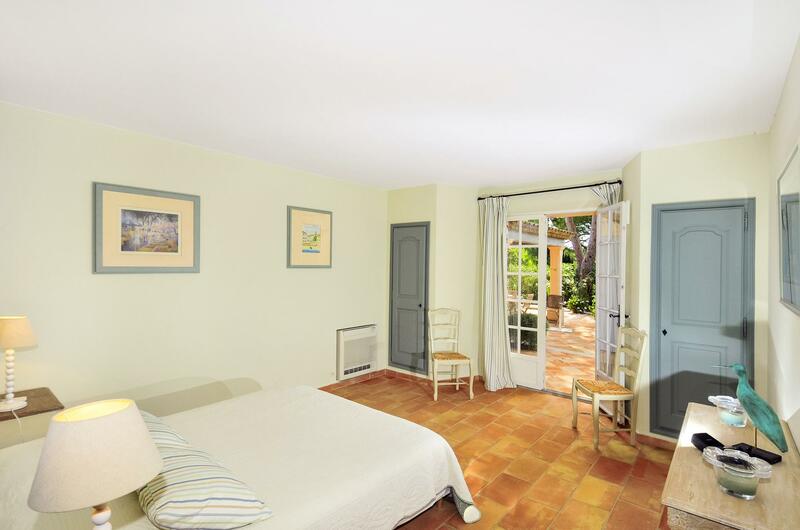 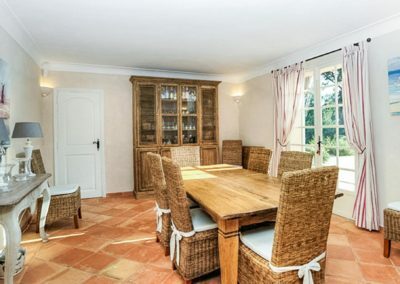 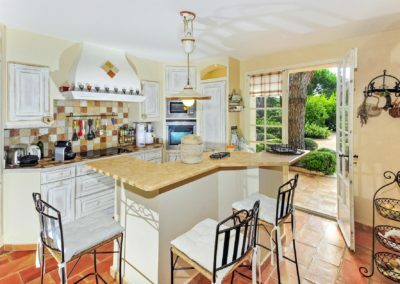 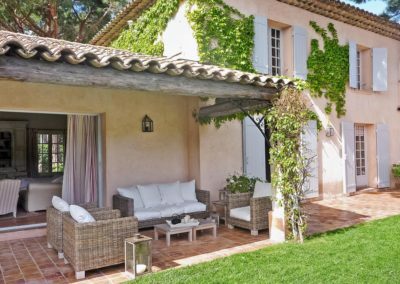 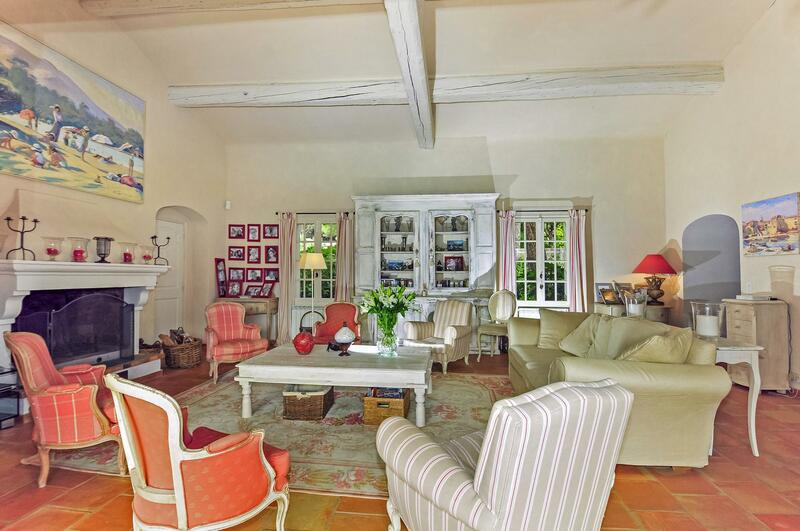 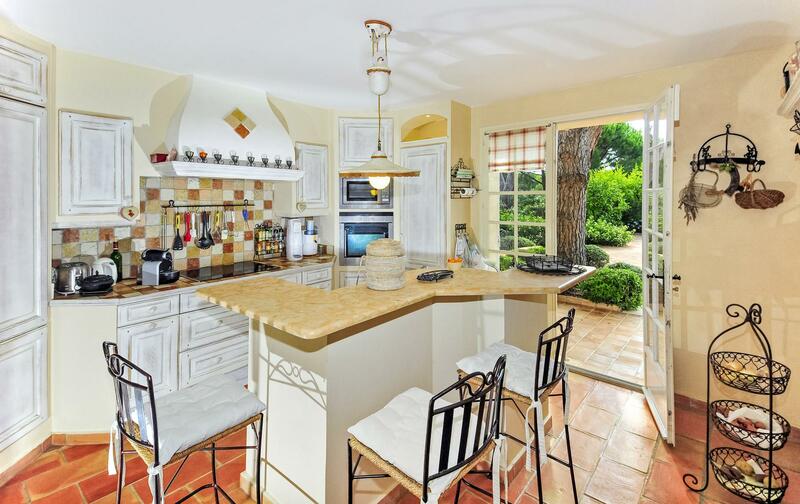 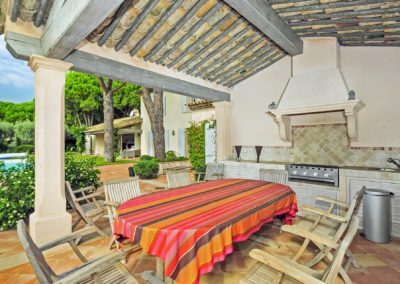 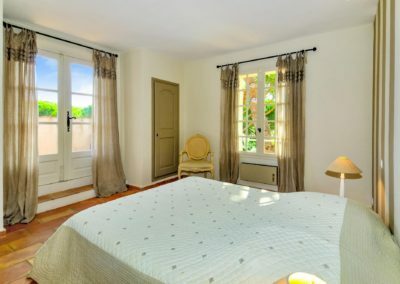 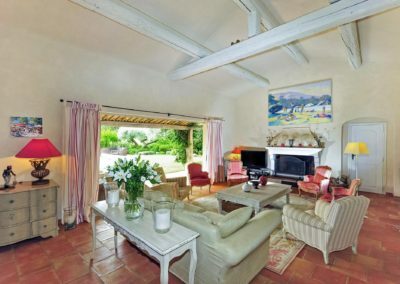 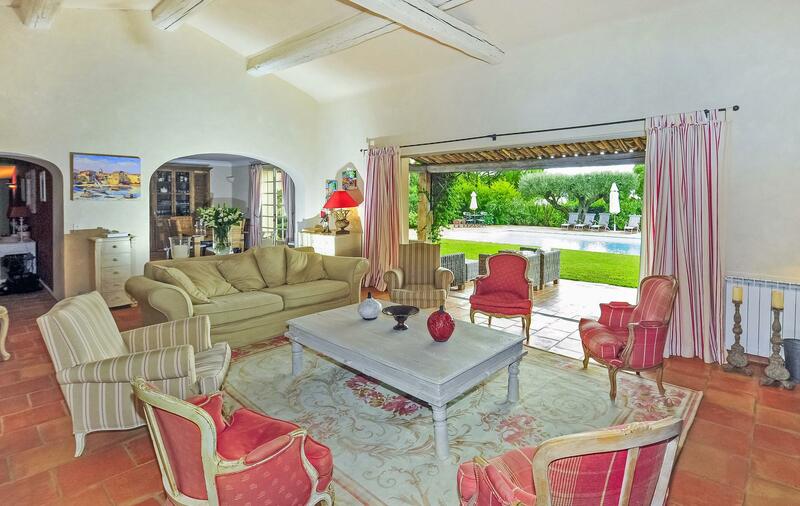 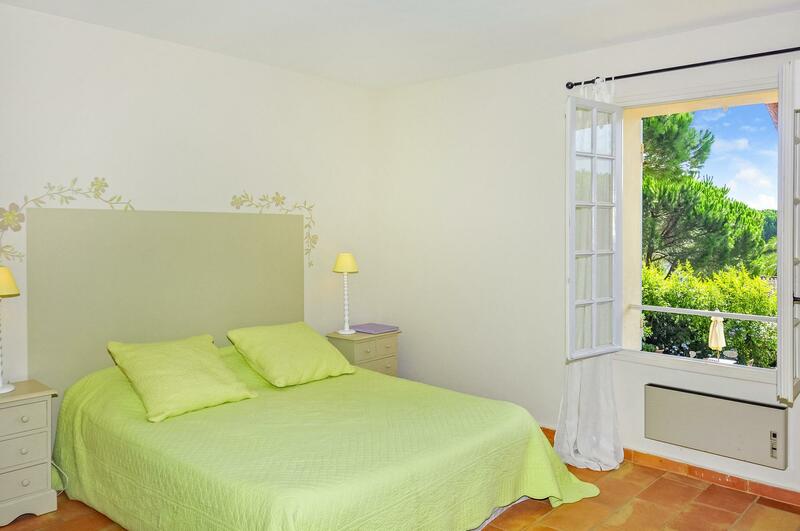 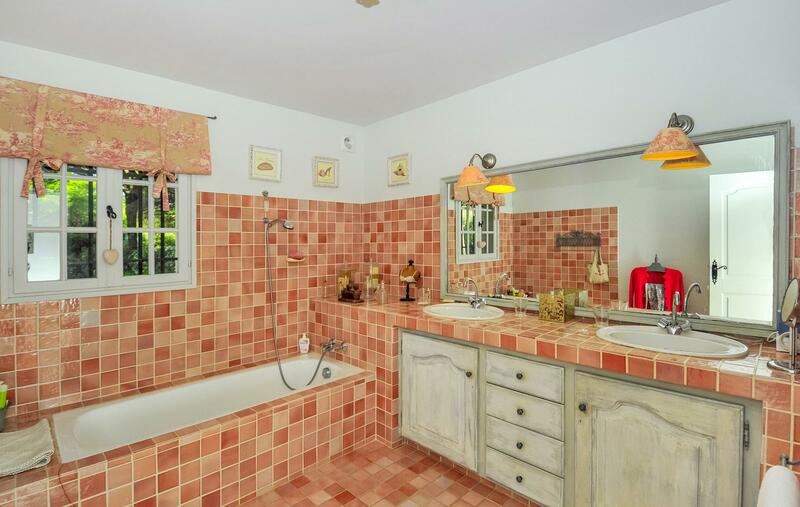 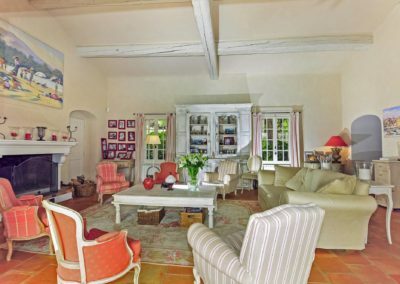 The interior is beautifully decorated and furnished in a modern Provencal style using a tasteful combination of cream, neutral and pastel colours. 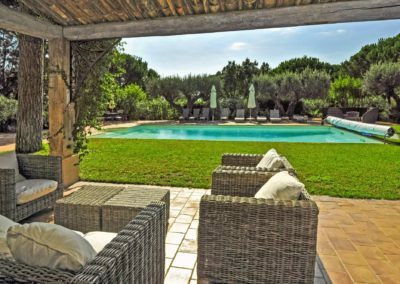 Terracotta floors flow throughout the entire property, both in and outdoors, where several terraces are comfortably furnished with stylish sofas and deck-chairs for relaxing around the pool or dining al fresco. 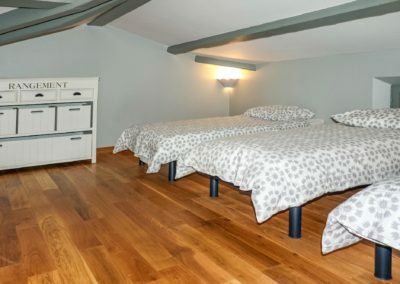 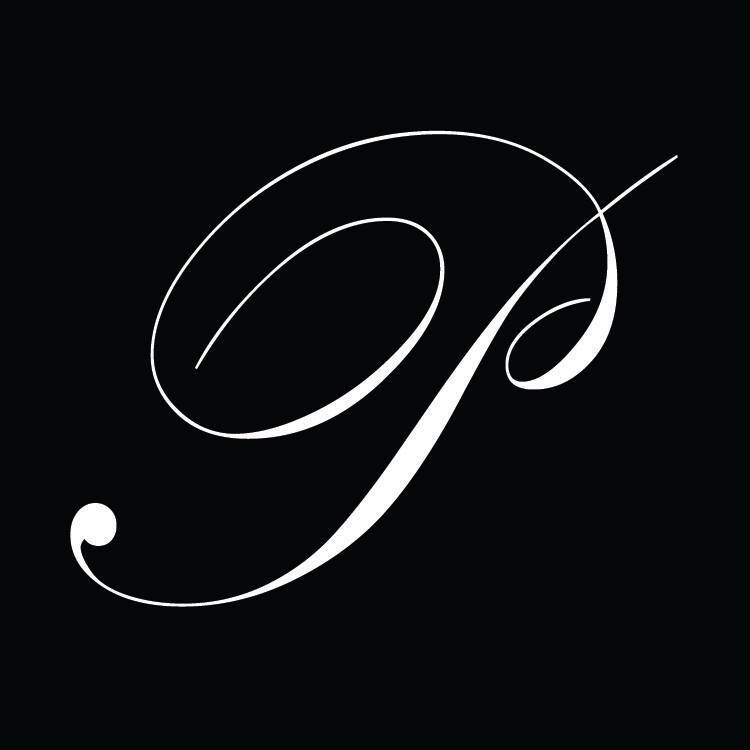 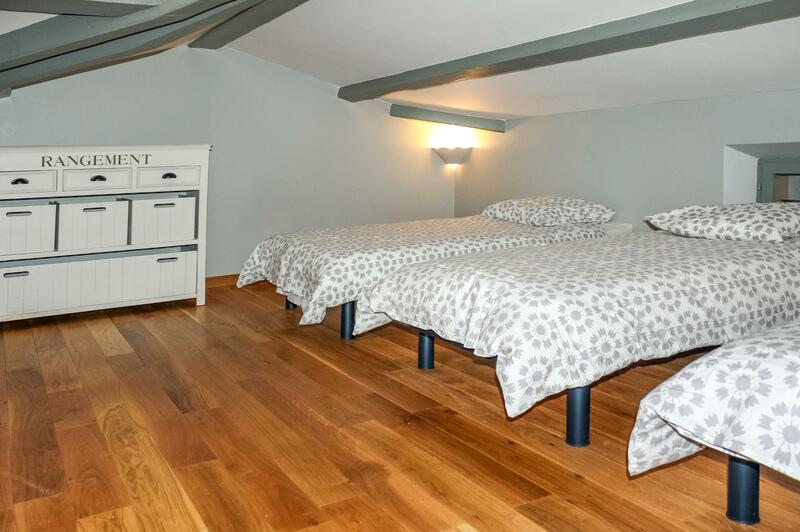 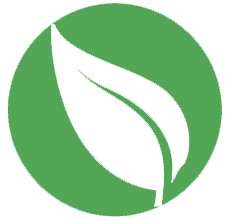 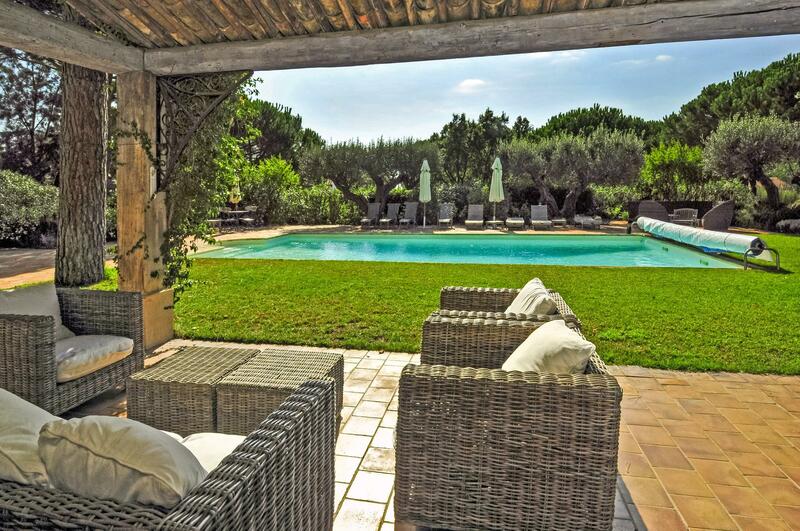 The spacious garden is mainly laid to lawn and therefore particularly suitable for children. 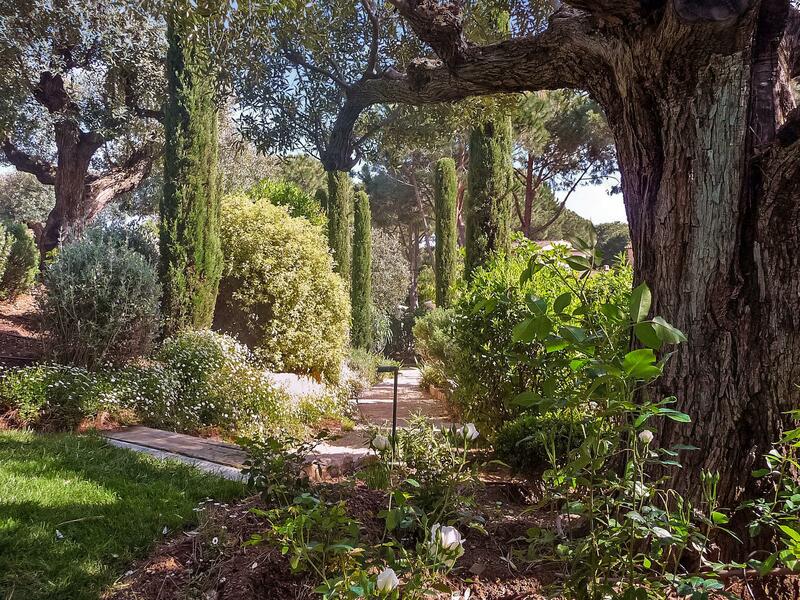 Tall, maritime pine trees, olive trees and typical Mediterranean shrubs provide pleasant shaded areas during those hot summer days, whilst a range of outdoor facilities are available to entertain the most energetic guests: why not take advantage of the mini-tennis court, boules pitch or trampoline to have some fun memories with your family and friends? 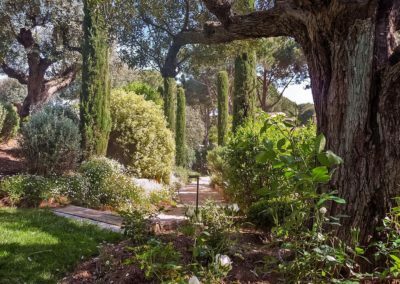 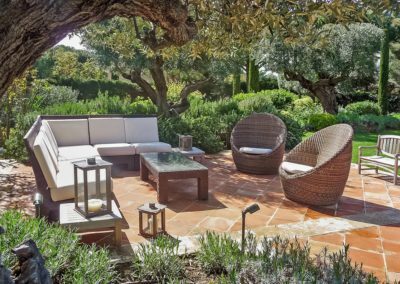 A five-minute stroll away from this perfect haven of peace and tranquillity is one of the most exclusive spots of the entire French Riviera. 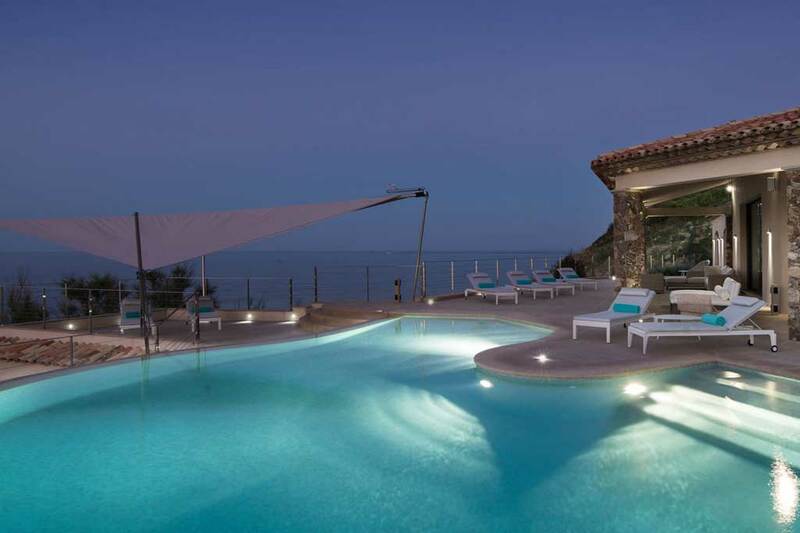 In fact, the beautiful sandy beach of Tahiti Beach on Pampelonne Bay, its clear blue waters, its water sports facilities and its renowned beach-club restaurants will appeal to children and adults alike. 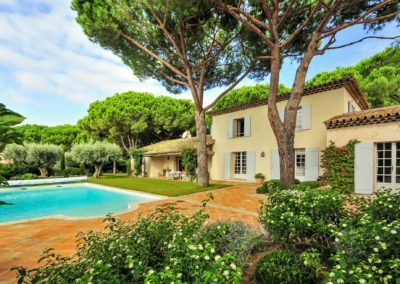 Similarly, St Tropez’s splendid marina, its multimillionaire yachts and glamorous nightlife are just under two miles away. 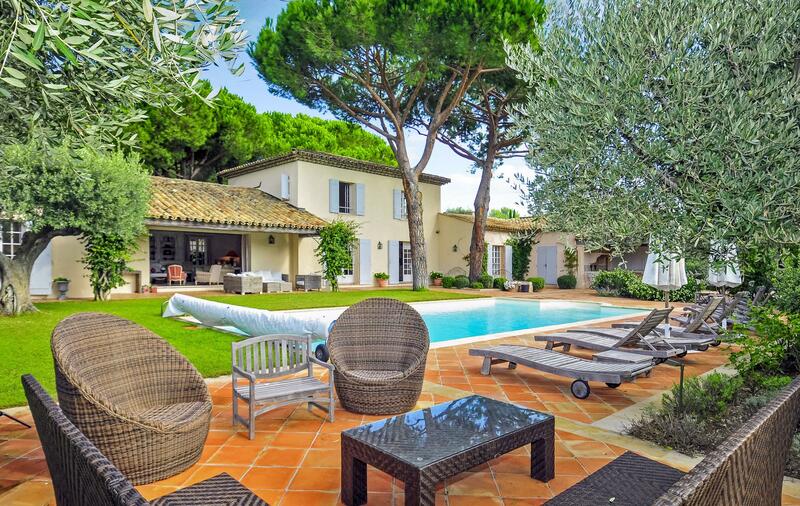 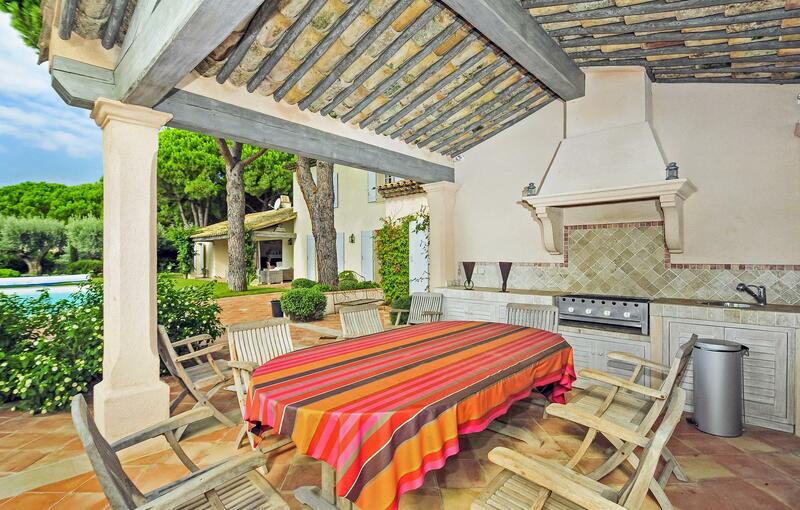 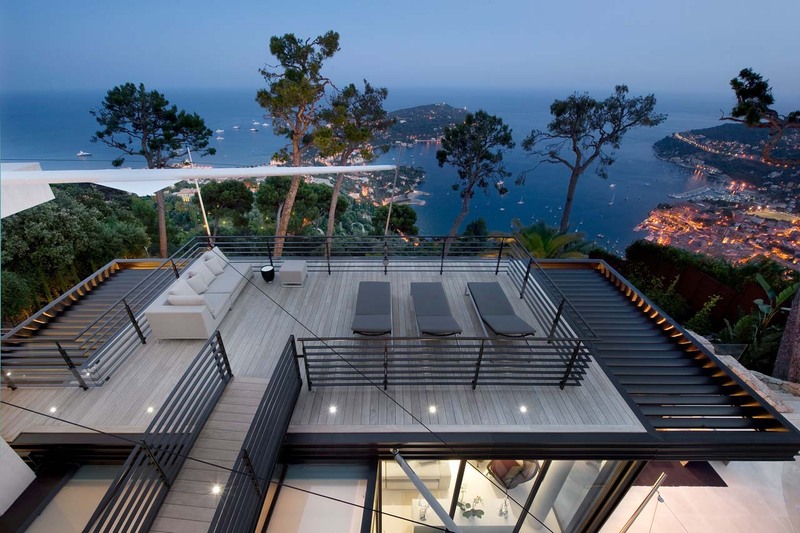 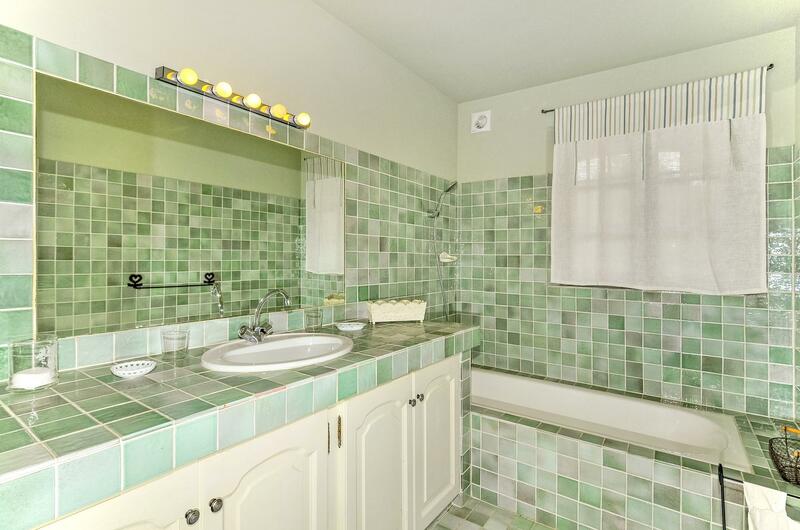 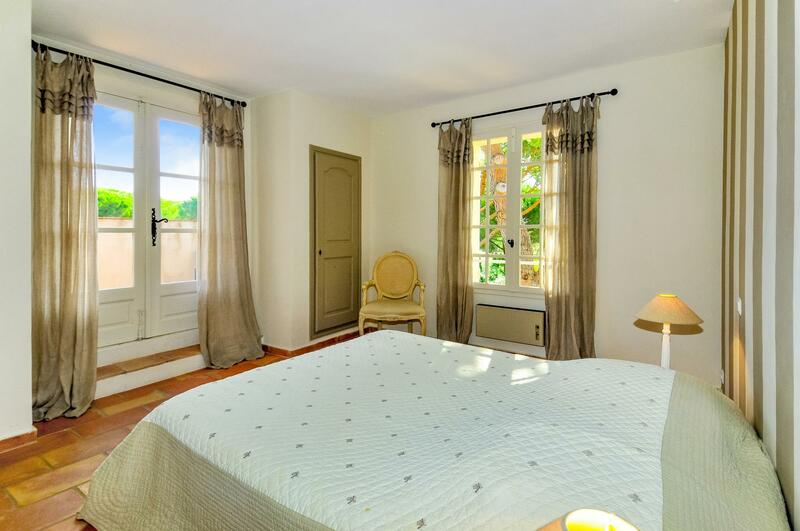 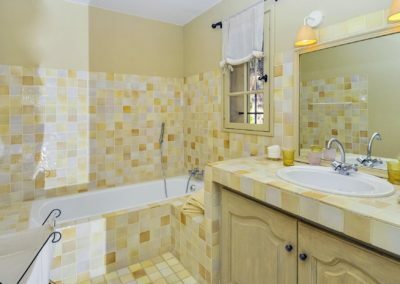 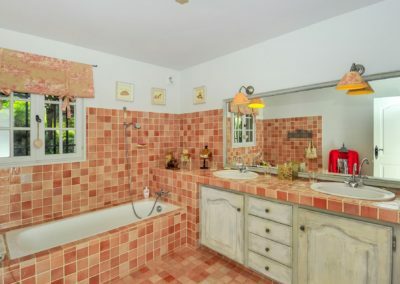 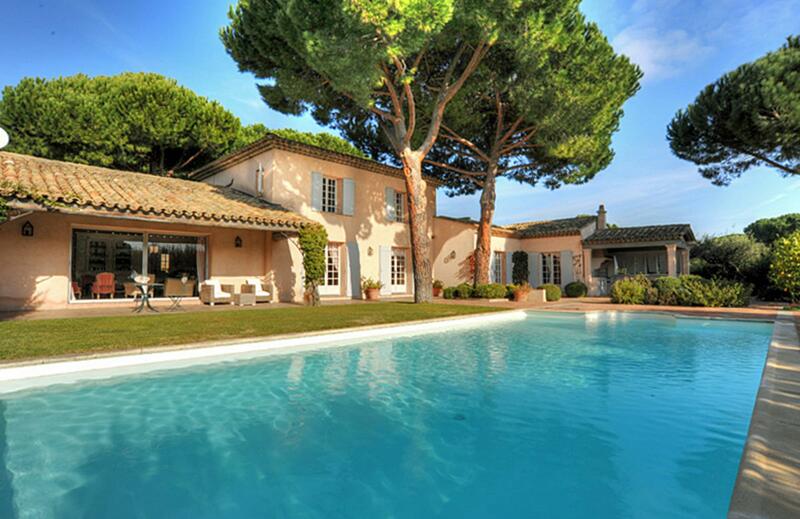 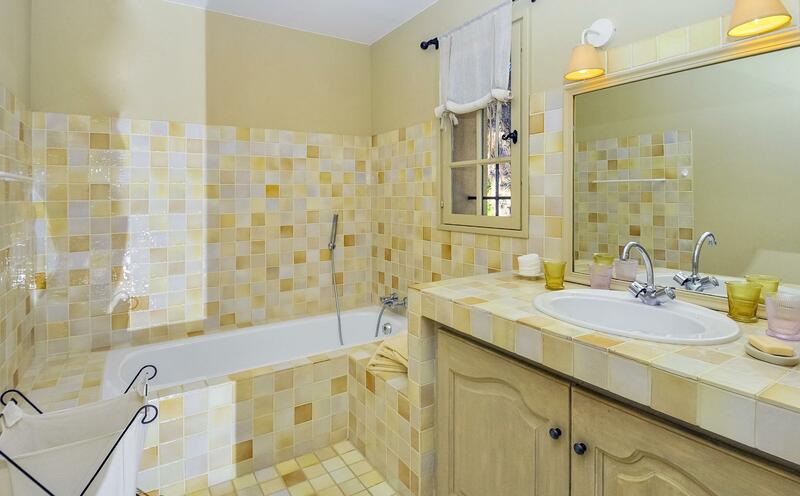 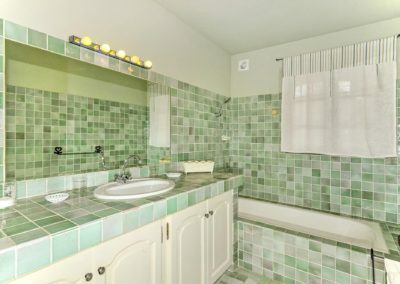 All this and much more await you during your stay at this luxury St Tropez villa by Tahiti beach.